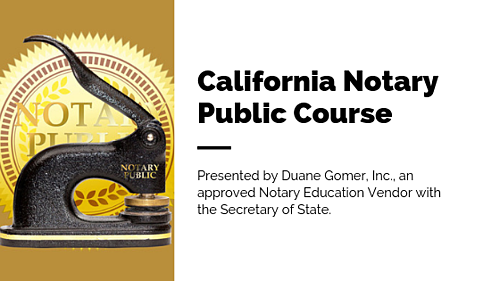 Take this course to become a new California Notary Public or to renew your Notary Commission. If you are renewing it is recommended that you take the State Exam 6-12 months in advance to account for processing times. Upon completion of registration you will receive a link to read the State Notary Handbook and study 138 sample questions that will prepare you to pass! • $40 check made out to "Secretary of State"